1956: Mr. Atsushi Miura joins Luxman. 1961: Atsushi Miura marries the oldest daughter of K. Yoshikawa (the owner of the company). Becoming a part of the family he becomes the head of sales in 1968, as well as general manager of the Tokyo office. In the years 1977-1980 he works in the New York office of Luxman, leading its American division Lux Audio of America. In 1985 (the Air Tight catalog quotes year 1986) he retires and together with Masami Ishiguro he founds the company A&M Ltd, and starts manufacturing the ATM-1 amplifier. 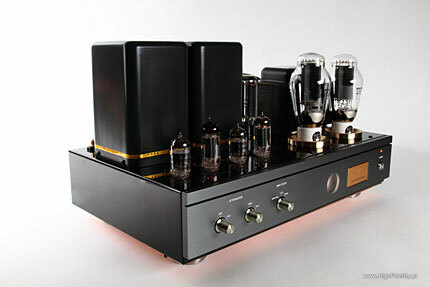 The amplifier received an award from the magazine “The Absolute Sound”: The Absolute Sound 2007 Editors' Choice Awards. June Christy, Something Cool, Capitol Records/EMI Music Japan, TOCJ-90033, HQCD. Julie London, By Myself, Liberty Records, MCR-1, LP. William Orbit, My Oracle Lives Uptown, Guerilla Studios/Linn Records, AKH 351, 2 x 180 g LP. Ariel Ramirez, Misa Criolla, José Carreras, Philips/Lasting Impression Music, LIM K2HD 040, K2 HD. Jean Michel Jarre, Equinoxe, Dreyfus Music/Mobile Fidelity, UDCD 647, CD. Kraftwerk, Tour The France Soundtracks, EMI Records, 591 708 1, 2 x 180 g, LP. Dominic Miller & Neil Stancey, New Dawn, Naim, naimcd066, CD. Pink Floyd, Wish You Were Here, Capitol/EMI, 5 29071 2, CD. Art Farmer and Jim Hall, Big Blues, CTI/King Records, KICJ-2186, CD. Depeche Mode, Fragile Tension/Hole to Feed, Mute Records, CDBONG42, SP CD. And although some of those are integrated amps, others power amps, still the technology remains same. 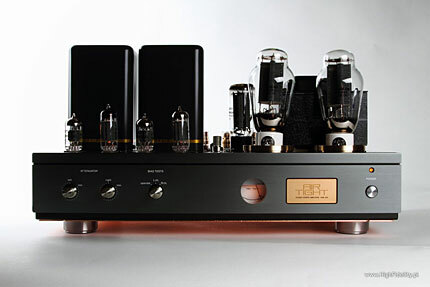 And I mean, that those are fully tube based amplifiers, based on a power triode 300B, or equivalent, working in the output stage, in class A and SET setting, powered by a tube rectifier. In audiophile rings such amplifiers are worshipped like gods, and regarded as the absolute top, of that what is currently offered. And I do not want to engage in any discussions now (virtual ones, as I would need to respond to them myself), but I must confess, that although I do not agree with that in 100%, there is a lot of truth in those beliefs, and the 300B tube offers assets, not available anywhere else, at least to my knowledge. One of those assets is incredible microdynamic and resolution of low level signals. Those are elements, which do not exist elsewhere in such form. The ATM-300 is not an exception to this rule. Every disc I listened to, and I listened to this beautiful amplifier extensively, were presented with an extremely well defined sound stage. And I am not even talking about the size of it, as this is a secondary issue when we are talking about this amplifier (the stage is very large, but nothing is blown out of proportion), but about the way the instruments, voices and effects are defined within its boundaries. Air Tight places all those elements in a very natural way, slightly “soft”, but not softened, just “not hard”. Whether it is a large church, where the Missa Criolla with Jose Carreras was recorded, or the interiors of a recording studio from Something Cool June Christy, or, finally, the artificial effects from the newest Depeche Mode single, in all cases the ability to show the stage as a whole, as well as its details in particular, letting us know, what role they play in the creation of the sound, were really outstanding. I think, that this characteristic, together with the very free reproduction of the sound as a whole plays a big role in creating this “admiration” I told you about. Because it is hard not to fall for it. Despite the mediocre 8W output power, the sound can be quite strong and loud. Seemingly the bass is limited on the very bottom (I am talking about frequencies below 40Hz), because more open amplifiers, like Reimyo, clipped much earlier. This is a limitation, that will probably not be audible on wideband, high efficiency loudspeakers, but this characteristic is handy when working with loudspeakers like my Harpia. And it played really, really loud. Of course I managed to clip the ATM, but it sounded different. But before I come to that, I want to comment on the tonal balance this device has, as one is closely related to the other. Please note, that when I listed the 300B amplifiers in the beginning, I did not mention Ancient Audio, models Integra (integrated amplifier, a single 300B) and Silver Grand Mono (monoblocks, two parallel 300B). No, I did not forget them, but they do not mean one of the criteria related to cult amplifiers – their power supplies are silicon based, and not tube ones. Although the first version of the Silver employed the GZ34 tubes in the rectifying section, but their constructor, Mr. Jarek Waszczyszyn, stopped using them quite quickly. I witnessed those changes, and I must say, that they were beneficial for the product. But now I need to call upon those, especially the Silver Grand, because the sound of the Air Tight, especially regarding the tonal balance, reminds me much the sound of the Polish amplifier. The four amplifiers I mentioned earlier sound much warmer, had a visibly rounded top range and slightly boosted lower midrange. Compared with those, the ATM-300 sounds much more linear (but about this later) and much more neutral. 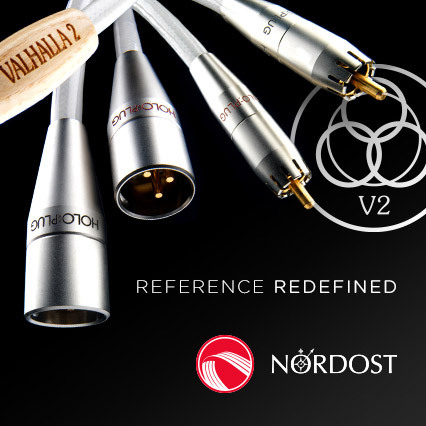 This linearity means, that there is nothing “added” to the sound, because the midrange, especially in the lower part, is thinner. 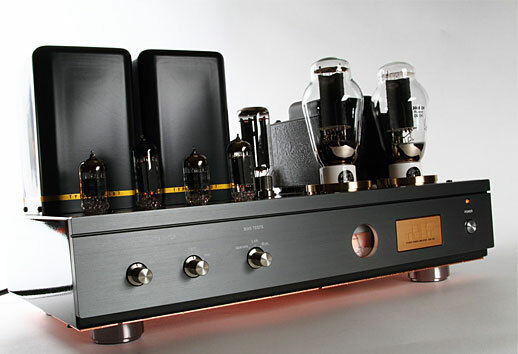 The sound of this amplifier, at least with the tubes supplied. Is much clearer and has less “intrusions”. The treble benefits most. It is not as resolving as in the Grand, no chance for it, but it is better differentiated, more colorful, that in any other 300B amp I heard, maybe except for the Reimyo, which is at the same time warm and resolving… The vocals, which are elements placed in the middle of the frequency range, are a bit further away in the ATM-300 than in Reimyo and AA. Actually all the sound is placed further back, behind the loudspeakers.